The Bursaspor of Turkey star got a knock in Saturday's 4-0 win over the Mediterranean Knights in Uyo. The backline of the Super Eagles will be depleted when they file out for their second leg game against Libya in the Africa Cup of Nations qualifying series on Tuesday. 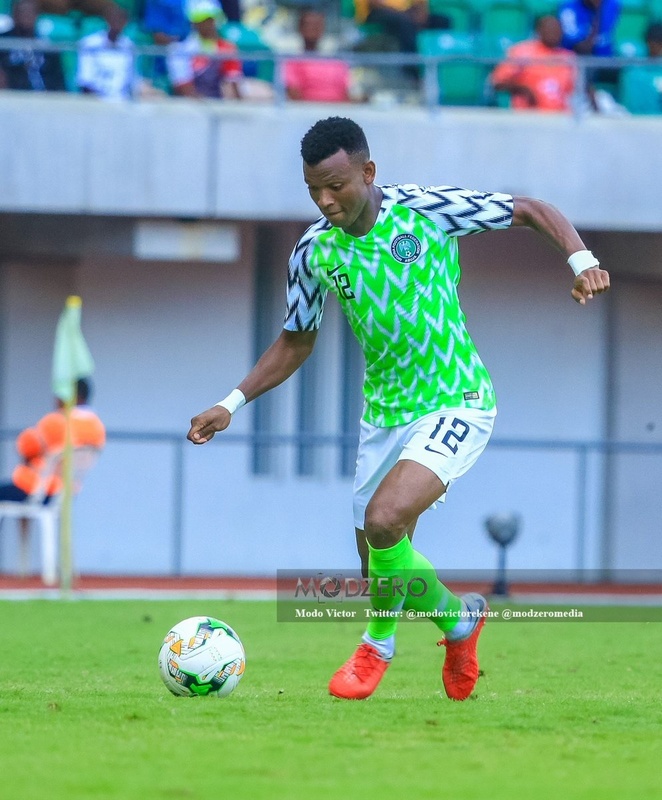 Shehu Abdullahi who plays at the right side of defence has confirmed that he would play no part in Tuesday's reverse leg match against Libya. Nigeria have move to the second spot in Group E of the 2019 Africa Cup of Nations qualifying series after Odion Ighalo live up to his billing; scoring a hat-trick and the impressive Samuel Kalu added one to condemn the Mediterranean Knights to a 4-0 defeat in Uyo. The Eagles are now hoping to avoid defeat on Tuesday to at least stay in second place after the Match Day 4 games.